Is Army Rule a Very Good Political System? How Much Interest in Politics? Voting Preferences-Left, Right or Centre? "This atlas will be an essential catalyst for teacher-pupil discussions, and an authoritative source of information as we move towards a post-Brexit world." "An effective and engaging atlas of Europe." "The entire range of cartograms covers a very broad swath of cultural, demographic, economic, and social data. . .The point of this work is very forcibly made with graphics that demonstrate that many more forces bind together rather than separate Europeans." "A visually stunning atlas, the best of art and information combined. Although worthy of standing on its own, it also provides an indispensable companion to the social, economic, and political changes sweeping Europe." "A fascinating, accessible, and timely guide to modern Europe, providing an essential toolkit for understanding the continent post-Brexit." “An exceptional contribution to our understanding of who we are as Europeans. When we look at Europe from the outside, we find much more in common than divides us. This book traces the contours of those commonalities and brings them to life." "Think you know Europe? Think again: this is a captivating window on the deeper realities of the Europe we share." "A truly fascinating book which explores in a state-of-the-art, visual way a whole series of topics about European life, societies, and populations. 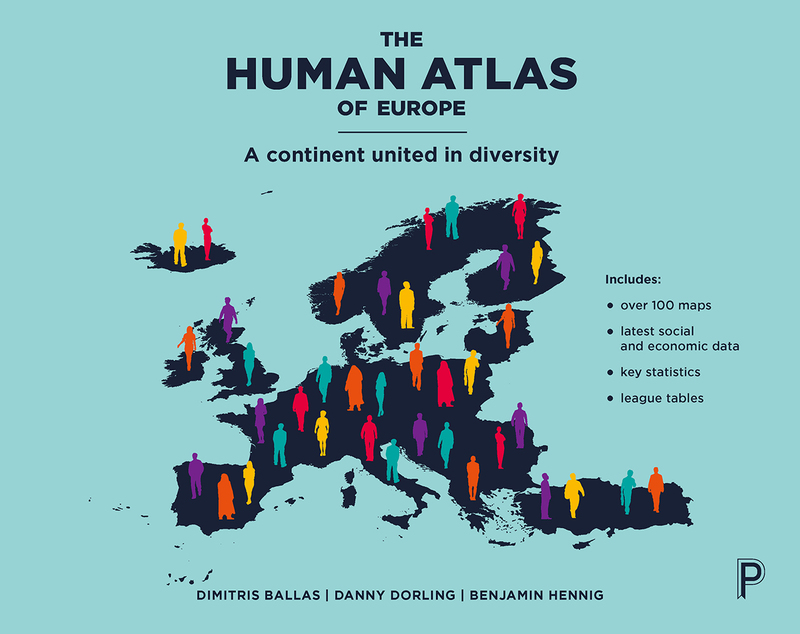 The book combines clear text and infographics to present an innovative way of thinking about, and seeing, Europe in all its rich diversity and surprising cohesion. Packed with information about an array of key challenges currently facing Europe." Gazmend Kapllani, author of "A Short Border Handbook"